One of my biggest skin concerns is redness. Which is why I'm always interested in trying out primers or skincare that claims to reduce or vanish redness of my cheeks. 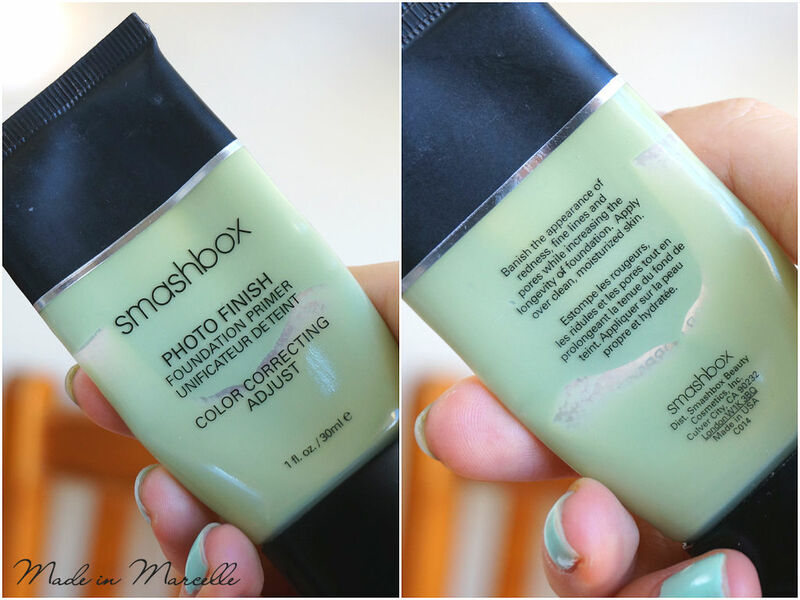 The Smashbox Photo Finish Color Correcting Foundation Primer in Adjust (wow what a name!) is one of them. I've been using this on and off for a while and I'm nearly finished with the tube. It's always a good feeling when you finish a product! This 30ml tube is AU$54.95 at Kit Cosmetics. It also comes in a mini 12ml size for AU$21.95. For 30ml with daily use it would last me about 6 months. 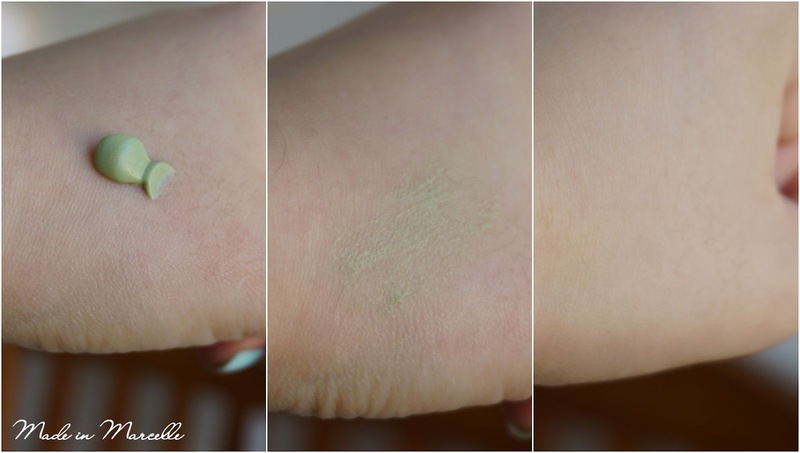 "Color correcting, wrinkle reducing, and dark spot defying - talk about a miracle product! Create a perfect canvas for foundation application and even out skin tone with this silky, lightweight blend of antioxidants and vitamins A & E. The formula helps to reduce the appearance of fine lines and pores for visibly softer, younger-looking skin. Wear under foundation or alone for a velvety-smooth finish. Now in a sleek tube for perfect dispensing-down to the last drop! Counteract discoloration and dark spots. ADJUST is green-toned to reduce redness." The sleek tube is easy to squeeze and the narrow hole makes it convenient to dispense the exact amount I need. 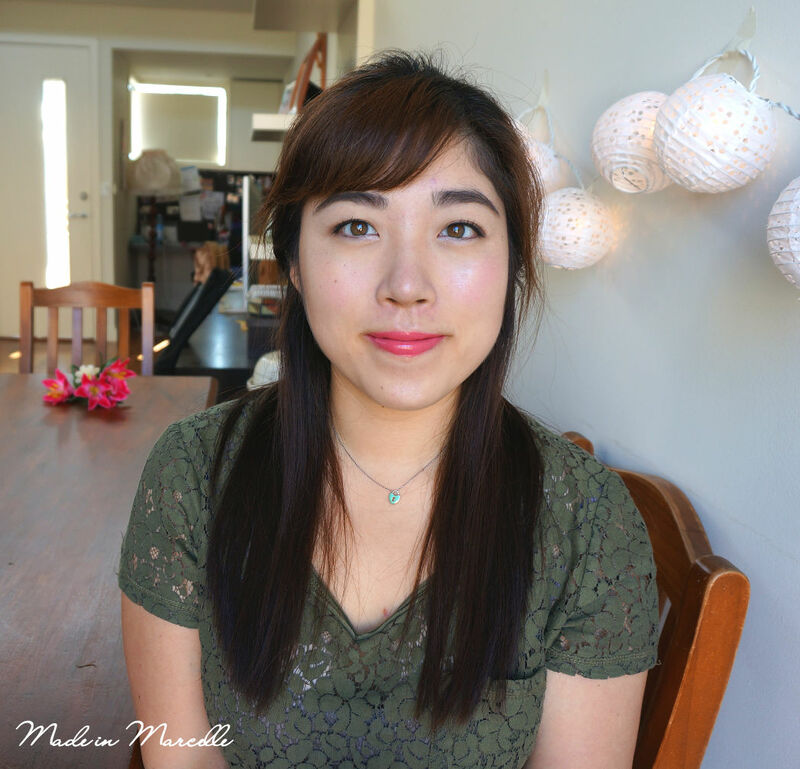 I use about a pea size amount for the entire face, concentrating on my nose and cheeks. All this time that I've been using this primer I've been disappointed at how little it helps with my redness. I guess I'm still on the hunt for a 'miracle product' that will dramatically reduce the redness. 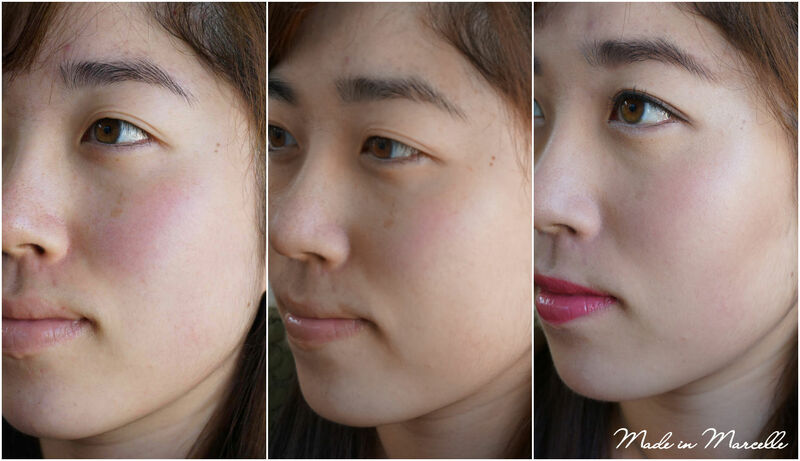 But then, I was looking at these comparison photos of before and after I applied the product. And although not very dramatic, I do notice an improvement in the redness, evenness and texture of my skin. 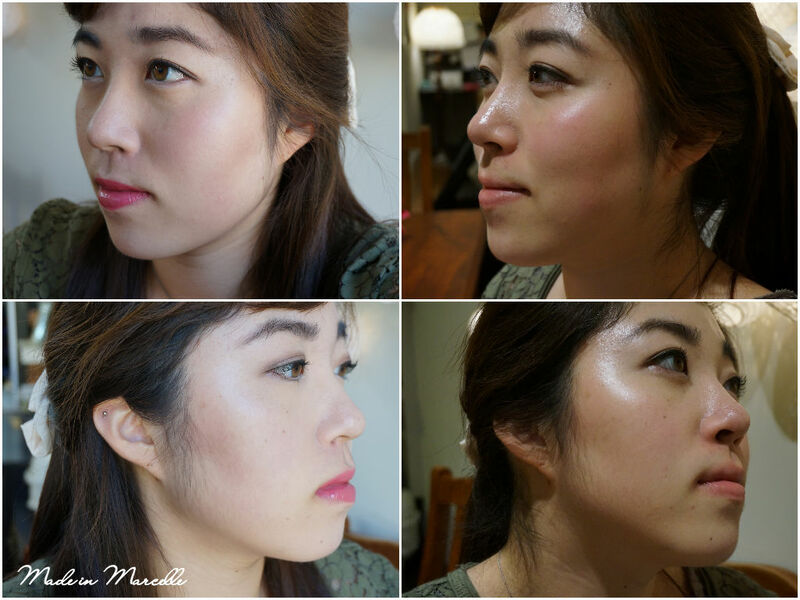 My skin does feel more smoothed out and velvety after the primer. As I mention in the video the makeup artist at Kit Cosmetics told me how the primer only aims to reflect light so that it gives the illusion of reduced redness. I.e. this ain't no miracle worker. Also, why does this primer smell like cucumbers...? Left: no makeup. Middle: after applying the Smashbox Primer in Adjust. Right: after full makeup. Let's start off talking about lasting power with a sigh. *sigh* Okay, It's not like I was expecting magic from this primer. I've given up on lasting power of any makeup on my oily skin. 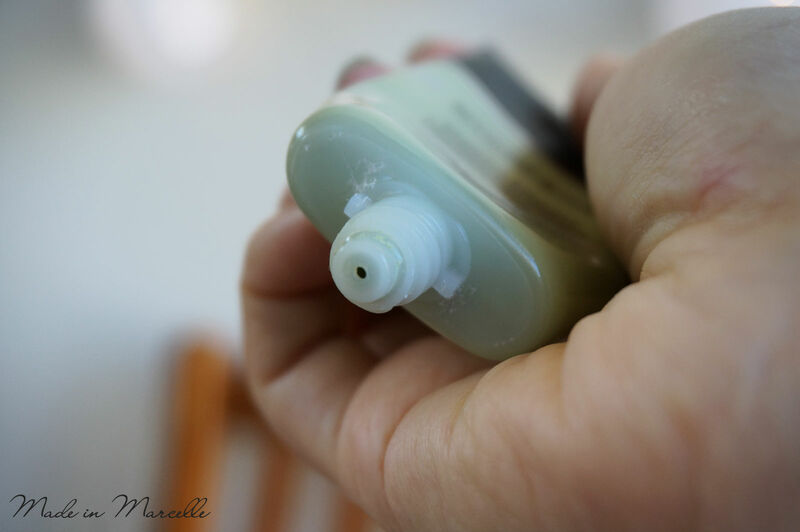 So it came as no surprise that this primer did very little at keeping the oiliness at bay. Yup. The photos say it all. Do you see that au naturel glow? No need to be jealous, trust me. By the end of the night, of more than 10 hours of having full face of makeup on, half of my foundation had been rubbed off (or slid off) with no bronzer in sight. But you can still see some coverage left, thank goodness! Which would have been the same case even without the help of the primer. Provides a smooth canvas for foundation. Velvety texture with quick absorption. Evens out texture of skin. Only minor improvement in redness. I feel like this primer did what all other primers do - provide a smooth, velvety canvas for foundation; and did not provide extra benefits for claiming to reduce redness. But then again, this is coming from a person who has extreme difficulty concealing my red cheeks. All in all I wouldn't repurchase this again, but I'm interested in Smashbox's other primer ranges to help with smoothing out my skin. Otherwise I've got my eyes set on the Stila CC Cream for its colour correcting properties. Hope you guys are keeping warm! Let me know if you guys know a good colour correcting product! “Nhưng mình thích bộ váy này.” Thượng thiếu phu nhân, Khang đại tiểu thư thực kiên trì nói. Cũng kỳ lạ, cô là người rất khó có thai, nhưng hàng đêm Thượng Thái Lăng lại yêu cầu vô độ khiến cô lại mang thai lần nữa, đây là tin vui của hai nhà Thượng, Khang, người lớn hai nhà thiếu chút nữa mà đốt pháo ăn mừng. dạy tiếng anh cho doanh nghiệpọi người nói, bọn họ căn bản là đang trong thời kỳ yêu đương cuồng nhiệt, mỗi ngày đều dính lấy đối phương, trong mắt hai người chỉ có nhau khiến cho người khác nổi da gà.